on sale now: see Here. Dad: What will set you apart is not talent but will and a certain kind of humility. A willingness to let the world show you things that you play back as you grow as an artist. Talent is cheap. 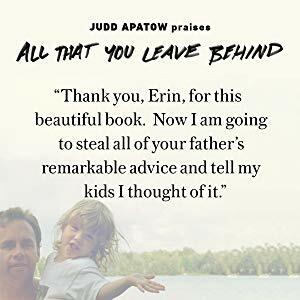 Erin’s memoir All That You Leave Behind, a reflection on grief, technology, and moving forward without your greatest champion will be released by Random House April 9, 2019. 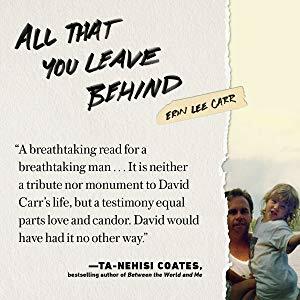 Preorder here. 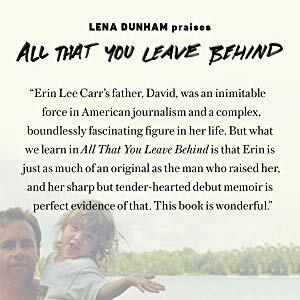 Critics have called her debut memoir incisive, and her story transformative.